Never a company to miss making a buck, now NBC will make product placement nearly seamless by letting you buy practically anything seen within its programming. We can see the possibilities for this new venture a mile away. Lenny Briscoe's Brylcream? On sale! Crossing Jordan Toe Tag Gift Set? Check! Will Truman's Tru-Glide Man-Lube? Ships in 24 hours! And on the 50% off rack: Anything from LAX, Hawaii, and Father of the Pride. One of the following items is faker than Mother Jefferson's teeth. Can you spot the faker? 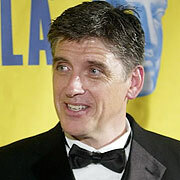 CBS has picked Scottish Actor Craig Ferguson to replace the smarmily irritaing Craig Kilborn on The Late, Late Show. Poor Michael Ian Black- always a bridesmaid... Maybe Black could host the new version of A Current Affair. Twentieth Television has confirmed that a new version is in development, although without Maury Povich, who had been linked in earlier rumors... In other less-than-exciting replacement news, CNBC is replacing John McEnroe's show with future former talk show host Donny Deutsch. The goal: to see if it's actually possible to average lower than a .1... 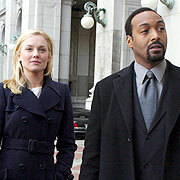 If you needed one more reason to avoid NBC's The Apprentice, here's a big one: a three hour finale. We'll take the zero, thanks.